Monaco is one of Europe’s most glamorous destinations, but it can be pricey to stay in Monte Carlo. A more convenient option is to visit on a small-group day tour from Nice, including highlights such as the Formula One Grand Prix track, Monte Carlo Casino and the Prince’s Palace; the Fragonard perfume factory in Eze; and the hilltop village of La Turbie. After being picked up from your central Nice hotel, meet your guide and small group of no more than 8, and set out east along the dramatic coastal roads. After around 30 minutes drive, arrive in the medieval village of Eze, where you’ll have time to stroll the charming cobbled lanes, pretty gardens, and castle ruins. Before you leave, take a tour of the Fragonard perfume factory and learn the secrets of one of France’s most prestigious perfume brands. Continue to nearby La Turbie, where the star attraction is the dramatic ruin of the Trophy of the Alps, a 164-foot (50 meters) tall monument dating back to 6BC. After crossing the border into Monaco, head straight for Monte Carlo, where you’ll have the rest of the day to take in the highlights. Pose for photos by the landmark Rock of Monaco; watch the Changing of the Guards at the Prince’s Palace; admire architectural wonders such as the Justice Palace and Monte Carlo Cathedral; or visit the Oceanographic Museum (own expense). Finally, pay a visit to the world-famous Monte Carlo casino, built in 1878 by architect Charles Garnier, and drive around the legendary Grand Prix track, where the annual Formula One Monaco Grand Prix is held. After a full day taking in the highlights of the French Riviera, return to Nice, where your tour ends with drop-off at your hotel. Honestly I wouldn’t recommend the tour to anyone. The guide drops you off different locations where you have to wonder around the places by yourself. I would have guessed that the guide would be with us explaining the historical areas and the stories behind them. 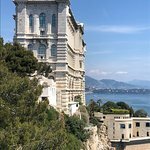 Get quick answers from Small-Group Day Tour to Monaco Monte-Carlo from Nice including Stops along the French Riviera staff and past visitors.